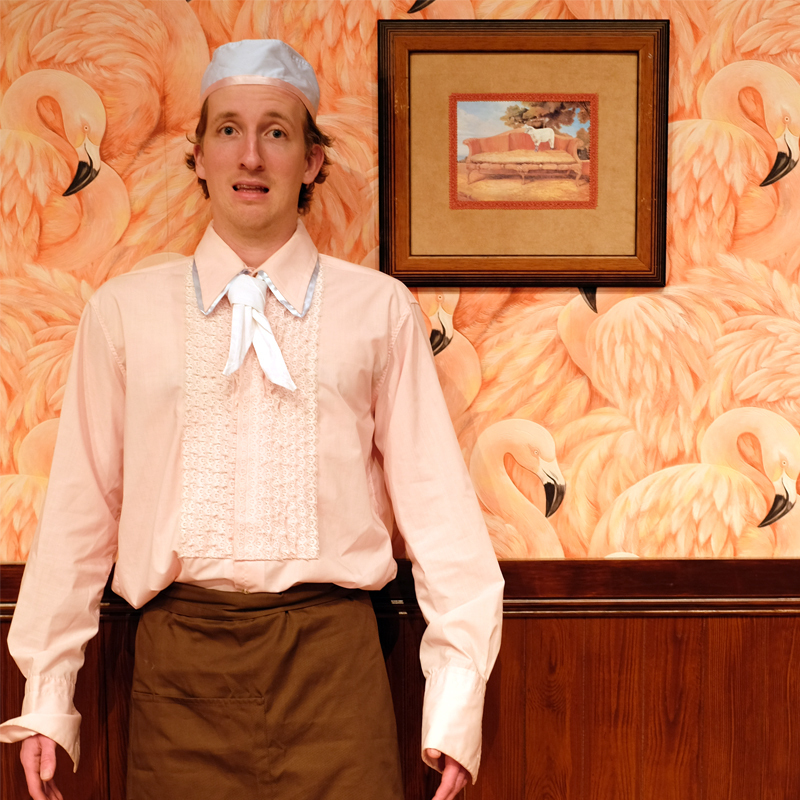 This one man physical comedy from NIDA Emerging Artist Award Winner, Will Tredinnick, is a 45 minute egg-and-spoon sprint through the underbrush. A unique theatre experience full of good laughs, terrible table service and more audience participation than you bargained for, 'Table for Two?' takes your order and then forgets it, asks for it again and then loses the docket. From Blumenthalian gastronomic experiments to mixological mishaps, prepare to be whisked off your feet and sieved into a melting pot of characters, calamity and caviar*. For more information go to www.tablefortwotheshow.com. Will is a diverse performer and passionate theatre-maker from Western Sydney, NSW. In 2014, Will graduated from Charles Sturt University with a Bachelor of Communication (Theatre/Media). While at university, Will developed a keen interest in physical theatre, learning skills in circus, dance, acrobatics and clowning. This interest saw him perform at the Tasmanian Circus Festival (2013), Adelaide Fringe Festival (2013) and the Catapult Festival (2014). After a 2 year hiatus, Will returned to performance in 2016 with the goal of developing his own work. Having recently completed a successful season at Sydney Fringe Festival 2018 where he won the NIDA Emerging Artist Award, Will is due to premiere his first solo work 'Table for Two?' at Adelaide Fringe Festival 2019.